Happy Christmas (and New Year)! Thanks to everyone for their support this year! Any merch orders from now won’t be sent out until after Christmas. Self-titled Tab Book now available. We’re playing some Animals 10th anniversary shows feat. both Stu & Hank (UK, you might see a couple of other special guests too)! Ticket links in ‘tours’ section. 'Dog' is now available to hear from the upcoming Animals Acoustic record! To pre-order the record you can see our 'merch' section. To celebrate the 10th Anniversary of Animals, we got busy with our old friend Stu Smith and re-worked the original album tracks. We'll be playing the entire original Animals album on some dates on the US East Coast this October, of course with Hank featuring too (see 'tours'). Pre-orders for the album are up now! 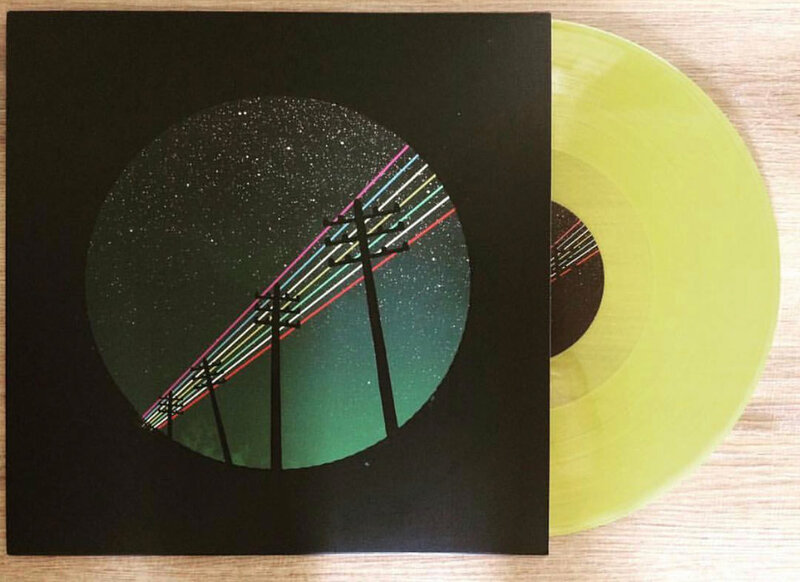 - 12" Translucent Green Vinyl with Digital Download Card included! - Release date 5th October. 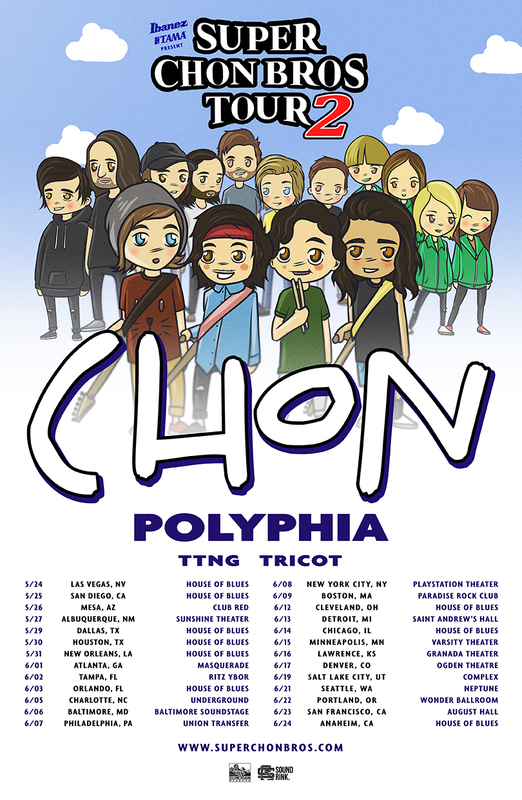 We'll be out on tour in North America this May/June with Chon, Polyphia and Tricot. Details below! We're off on tour round the EU/UK starting next week. All ticket links are on the 'tours' section. Any merch orders will be processed on May 2nd so there may be a little wait. Doing a tour in Europe before it potentially becomes more difficult for us to travel over there. Looking forward to this! We are delighted and relieved to announce that the pending legal charges made by the Hong Kong Authorities against TTNG & Mylets have been dropped and no further action is to be taken. The bands would like to say an enormous and sincere thank you to all of our fans for your incredible support both moral and financial over this difficult period. We’ll be announcing some tour dates soon. For merch orders, last postage before Xmas will be on Tuesday 19th December. Can't promise it will reach you in time though! We would like to thank everyone for their continued help and support so far. We are truly grateful for the compassion and understanding that you have shown us. Our bail has now been extended to July 17th. The money which was kindly donated through our Go Fund Me page was used to book flights to Hong Kong for June 5th. The airline is allowing us to amend the date of our existing flights, but sadly this has added unforeseen extra costs due to increased ticket prices and change fees. Any help at all would be hugely appreciated! For the next week, any merch order will get 15% off the total price when you use the discount code TTNG-FML at checkout. Disappointment Island tab books are now available on the merch page. They contain both guitar and bass tabs for the album.